We've teamed-up with top coach Robert Baker, who worked with Ernie Els for three years and in fact helped him become World number one, to give you some great tips sure to boost your game and set you on the road to better scores. * Robert Baker from Logical Golf is coaching the pros and amateurs at the Alfred Dunhill Links Championship in Scotland. The tournament, conceived as a celebration of links golf, started on Thursday and is played over three of the world’s best known and respected links courses. The unique tournament incorporates two separate competitions - an individual professional tournament for the world's leading golfers and a team event in which they are paired with some of the most celebrated amateur golfers. Most amateurs are looking for power off the tee. 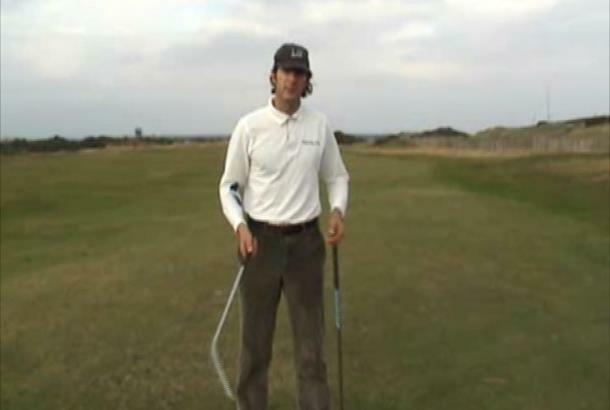 Robert Baker uses a whip to illustrate how best to hit a golf ball off the tee with a driver. Too many amateurs push their elbow back and push the ball off the tee. This produces very little power. However if you lead the drive with the elbow like cracking a whip or skimming a stone across water, you will have far more successful results. the elbow comes first and the grip leads the way. The you whip the clubhead through the ball. As a result you can generate a lot of power from very little effort.